Riding the jet stream is a popular pastime here in the Greater Cincinnati area. No, I’m not talking about an airliner or high powered mobile home. Slight changes in this atmospheric anomaly can cause rapid fluctuations in the weather here, bringing us an Early February Warmup. One day it’s a high of 3 degrees Fahrenheit, the next it is in the 60’s. This meteorological whiplash is not unfamiliar to residents of the area, but can reek havoc on the immune system. I must say, Murphy seems to be enjoying this break from the big chill, as am I. 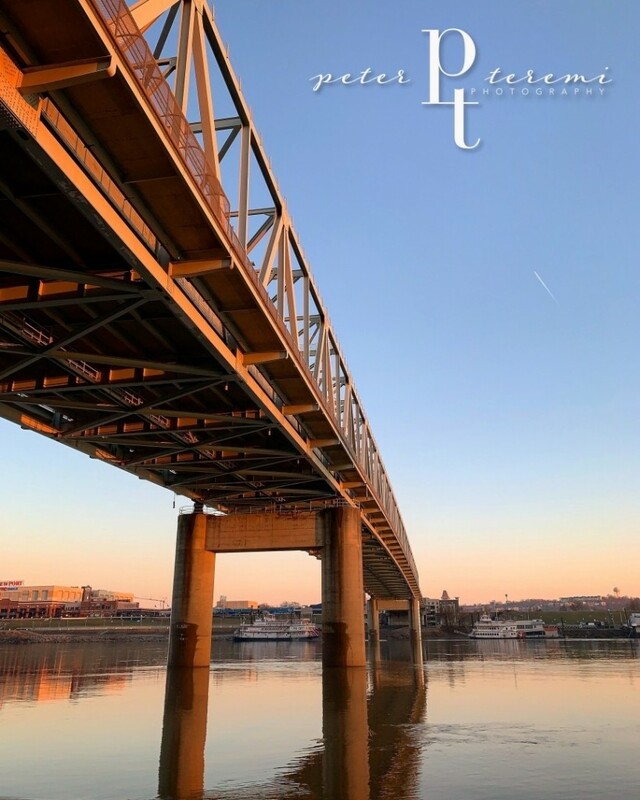 We hope you enjoy this view of the Taylor-Southgate Bridge basking in the glow of the setting sun, and hope for warmth in your hearths and hearts as we journey along together. Cheers from The Murphy-Cam Project!